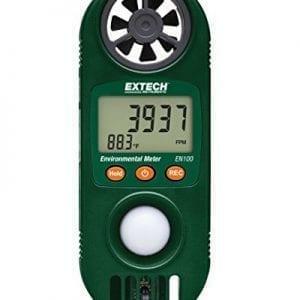 Anemometers and air flow meters might be one of the most essential pieces of kit to measure the speed or air movement, but they’re not just confined to the weather station. 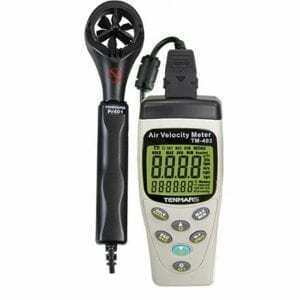 In fact, air flow meters are essential to everything from automobile testing to HVAC and ventilation. 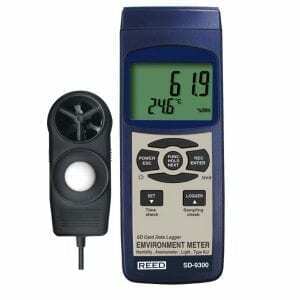 What is an air flow meter/anemometer? 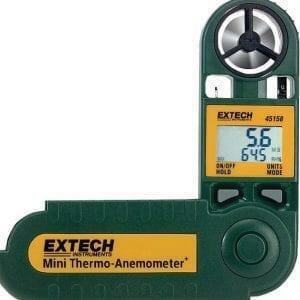 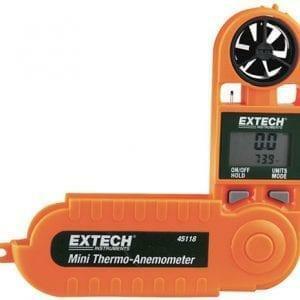 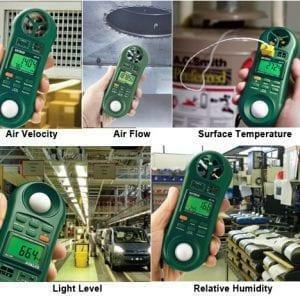 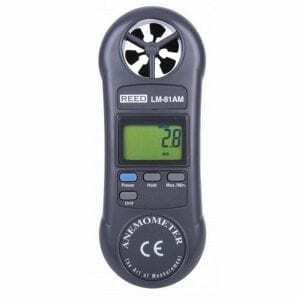 An anemometer measures wind speed or the velocity of air and is able to detect changes in conditions. 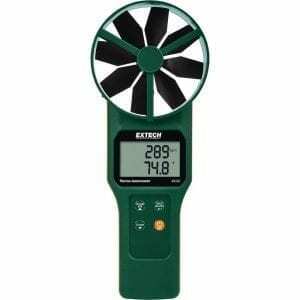 There are several kinds of air flow meter available, though the most common are vane anemometers, cup anemometers and thermal anemometers. 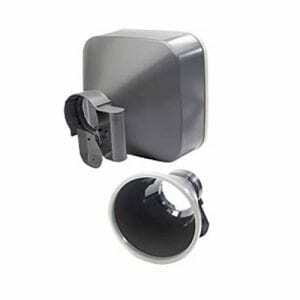 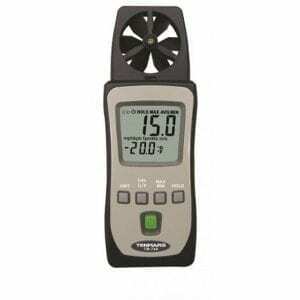 Cup anemometers are perhaps the most easily identified air flow meter. 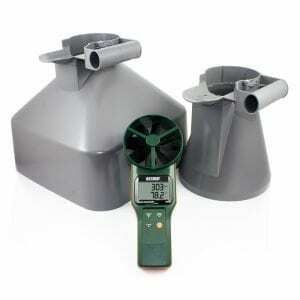 As the wind moves them, the cups turn a generator which is used to measure wind speed. 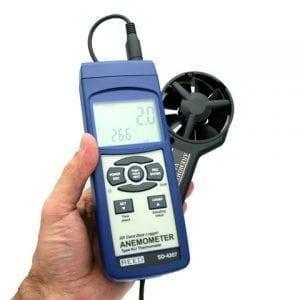 When it comes to measuring lower airspeeds, a vane air flow meter is usually preferred. 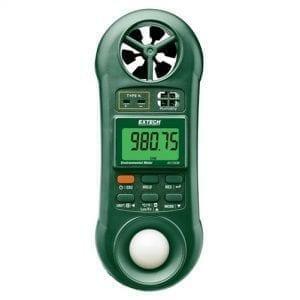 This turns a counter which is timed against a stopwatch and calibrated into wind velocity. 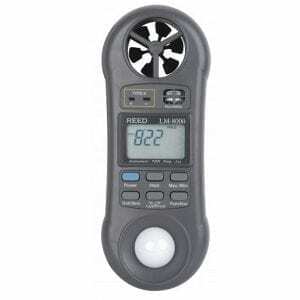 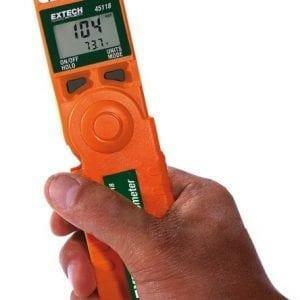 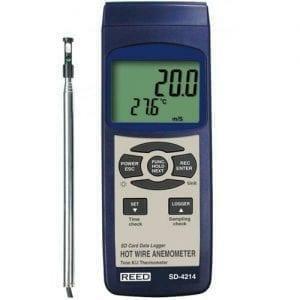 Other types of anemometer include the hot wire system, which works out the speed of airflow based on the rate at which the air flow cools a heated fine wire within the meter. 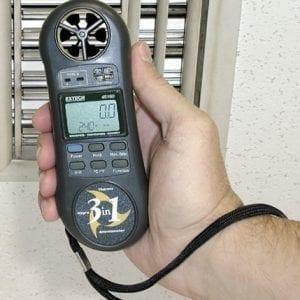 A tube system can also measure airflow based on the measurement of pressure which builds up once air enters the open end of a tube only to be concealed at the other. 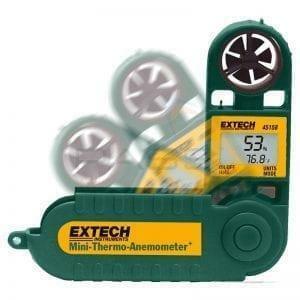 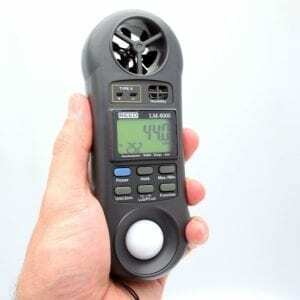 Anemometers come in a range of styles, from pocket-sized anemometers for the everyday homeowner and professional HVAC engineer, to environmental data loggers for more specialist environmental uses. 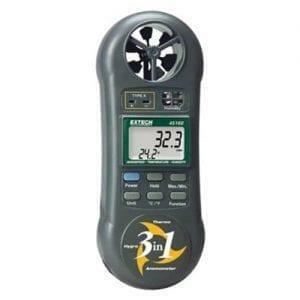 At OBIAT, we also have a variety of air flow meters which can measure temperature alongside air flow, and provide the results on an easy-to-read digital display. 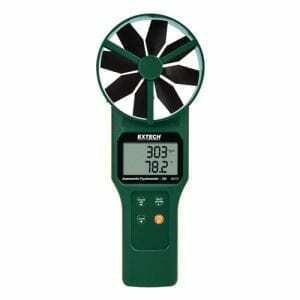 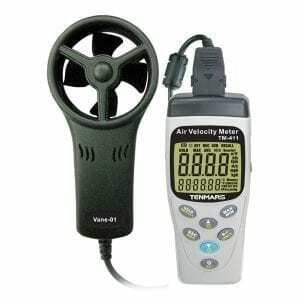 Whatever your needs, our selection of anemometers makes recording air flow velocity simpler and more accurate. 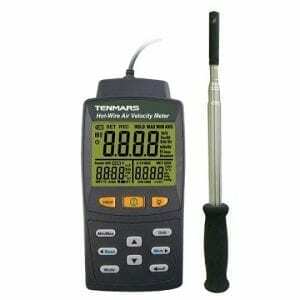 All our products are made to the highest quality with traceable calibration, and since we’re very hands-on when it comes to testing our products, you can have faith in our service. 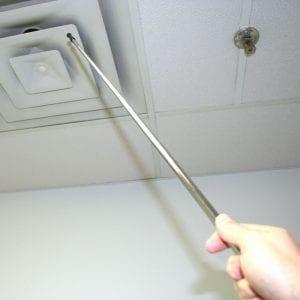 If anything isn’t quite right, our knowledgeable and trained staff will take care of any technical issues. 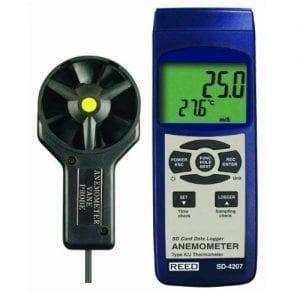 So take a look at our range of anemometers today or get in touch for more advice!